The archbishop of Kansas City in Kansas has given pastors the option to immediately cut ties with the Girl Scouts or phase out its relationship. One U.S. archdiocese is cutting ties with the Girl Scouts of the USA because it apparently promotes "programs and materials reflective of many of the troubling trends in our secular culture." Archbishop Joseph Naumann of the Archdiocese of Kansas City in Kansas said the organization is "no longer a compatible partner." He cited its relationship with an international scouting association that he said advocates for "contraception and abortion as preventive health care for women." He also has concerns with the Girl Scouts featuring Gloria Steinem and Betty Friedan as role models because they "stand in stark opposition to what we believe." 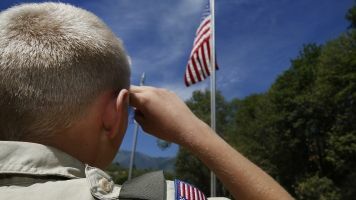 According to a statement, pastors will decide whether to "immediately" cut ties or to phase out the scouts once current members "graduate" from the program. In a blog post, Girl Scouts of the USA said, "Unfortunately, some have chosen to perpetuate misinformation that the Catholic Church leadership has acknowledged to be false." It pointed to a guide that answers questions about the Girl Scouts, its stances on certain hot-button issues and its relationship with its international affiliate. That guide was published by the U.S. Conference of Catholic Bishops. Naumann isn't the first U.S. archbishop to voice concerns about parish ties to Girl Scouts. In February 2016, the archbishop of St. Louis ordered pastors to "strongly consider" offering alternative, faith-based programs instead of Girl Scouts. Parishes within the Kansas City Archdiocese will be expected to start offering American Heritage Girls troops, a leadership program that's based in Christian values, to kindergartners in the fall.